Experience the magic of the holidays with beautifully designed commercial Christmas decorations. 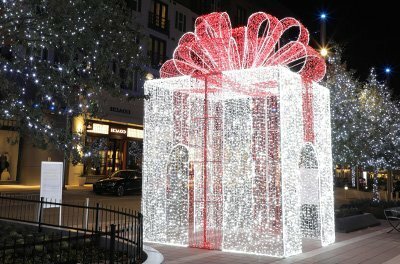 Whether you’re looking to dress up your business, create a magical experience for a shopping center, give guest a Christmas wonderland at your hotel or turn your city into a holiday extravaganza, Christmas Designers has the perfect assortment of décor that will grab the attention of all who visit your commercial property. Whether going with the classic look of an outdoor tower tree, or looking for something more modern such as the European inspired designs of our new dimensional displays, we have the perfect display for your needs. Not finding exactly what you want, ask us about custom Christmas decoration options. Commercial Christmas wreaths in stock from 2’ to 12’. Custom designed Christmas wreaths available up to 50’ in diameter. Professional grade Christmas garlands and sprays with the latest generation LED Christmas lights. Indoor and Outdoor rated. Commercial Christmas trees from 12’ to 100’ in height. Easy installation, compact storage and years of worry free Christmas enjoyment. 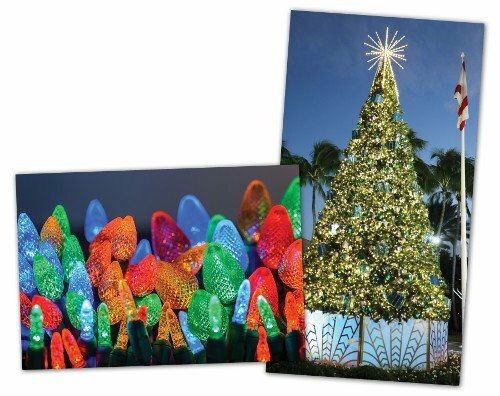 Create a holiday destination masterpiece with Iconic dimensional commercial Christmas decorations. From 6' photo op displays to 16' giant ornament centerpieces. Professional quality Christmas ornaments designed for the most demanding applications. Avail from 1.5” up to giant 50” designer Christmas ornaments. Silhouette Commercial Christmas decorations designed for a wide variety of applications. Ranging from single pieces to complex city-wide holiday programs. Pole mounted decorations turn ordinary light poles into Christmas decorating centerpieces. Choose from a variety of unique and innovative pole decoration designs. Add color and festive décor to any sign. Commercial sign enhancer Christmas decorations are a great way to showcase your community, business, city or organization. 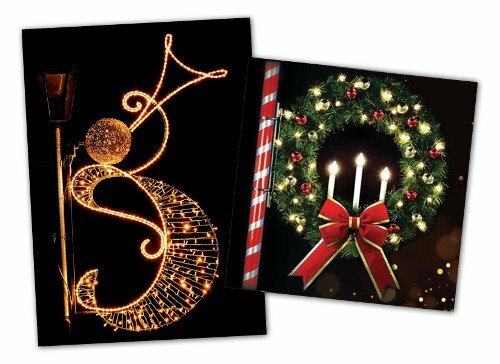 Shop a variety of commercial Christmas decorations from skylines and arches to lamp covers and banner enhancers. Innovative designs, quality construction and competitive pricing. If you’re a municipality, business or professional organization, you no doubt know there’s no exception for quality. And when it comes to commercial Christmas decorations, quality is more important than ever. For the past 40 years, Christmas Designers has been serving cities, towns, organizations and businesses with top quality, innovative commercial Christmas decorations and LED Christmas lights. What separates quality commercial Christmas décor from average decor? Simply put, it’s the attention to detail. From small, unseen details such as the thickness of the power coating and quality of the hardware to more visible elements such as the lushness of the foliage on a commercial Christmas tree. When done right, these individual elements come together to create a holiday masterpiece that is sure to awe all those that have the opportunity to experience the magic of a well-designed Christmas program. As the country’s leading supplier of decorations for commercial organizations and municipalities, as well as a supplier for professional Christmas installers, we have a deep understanding of the high demands our commercial customers require from their Christmas lights and decorations. And we’re not only a supplier, but also professional installers ourselves. We’ve been doing high end commercial Christmas installations for 5 decades and have had the privilege to create and install some of the largest Christmas programs in the country. While most commercial Christmas sellers only focus on selling products, our experience as professional installers allows us to offer the same top quality decorations and LED Christmas lights that we use for our own commercial installations. When you buy from us, you’re getting the same high-quality Christmas lights and decorations that we personally install on all of our own commercial Christmas projects. LED Christmas Lights are the foundation for most Christmas decorating programs. Whether simply scattering lights in front of a small business or a much more ambitious lighting program throughout an entire city, Christmas lights can create a magical experience all on their own. Use them to complement a larger Christmas display or as a standalone masterpiece. Commercial Christmas Trees Ranging in size from 12 feet all the way up over 100 feet, commercial Christmas trees often create the focal point for well-designed Christmas programs. Whether drawing attention to a business with a Majestic Mountain Pine Christmas tree or creating a social media destination for a downtown city holiday extravaganza, a commercial Christmas tree is a must. Christmas Garlands Not to be confused with Christmas garland bought at those big box retail store, commercial Christmas garland is specially designed for demanding applications. Galvanized internal wires to prevent rusting, UV coating on the greenery and lush, thick needles make Christmas Designers’ garland ideal for those demanding projects. Christmas Wreaths are beautiful symbols that have been around for centuries. Rich in history and meaning, but also stunningly beautiful when used as part of a larger commercial Christmas program. Wreaths are available in sizes as small as 24” all the way up to 12’ in width. And with our custom wreath options, sizes can go up much larger. Heavy gauge steel construction and thick, lush foliage make Christmas Designers’ wreaths a perfect add on for any Christmas program. 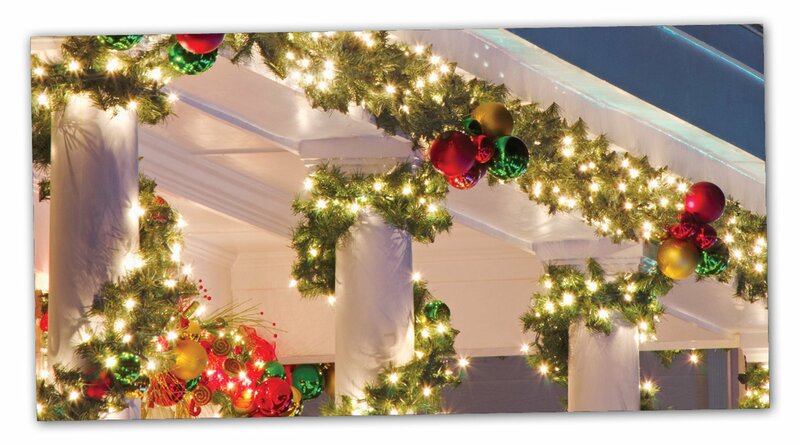 Pole Mounted Decorations turn ordinary street lights into part of your larger Christmas decorating program. Cities, shopping centers and HOA’s have discovered the benefits of using pole mounted decorations along their streetscapes. Pole mounted decorations, also known as pole decs have been around since the late 1800s, but the old classic garland covered designs such as candy canes, bells and angels have given way to more modern silhouette style pole decorations. Skylines/Cross Street Decorations enhance ordinary streetscapes during the holidays with skyline, cross street commercial Christmas decorations. 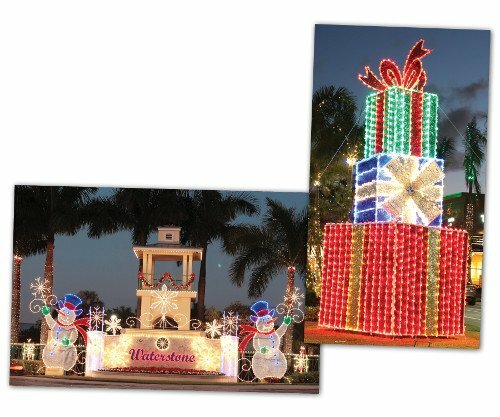 Create an overhead spectacle with silhouette style décor, animated displays or go with a more simpler approach using LED Christmas lights draped across the roadway. Ideal for city streets, shopping center entrances and HOA communities. 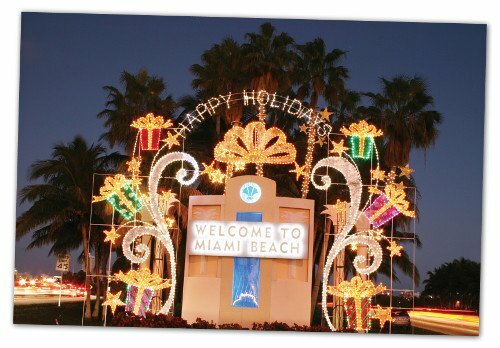 Spruce up those streets with the magic of skyline cross street holiday displays. Silhouette Style Decorations come in a wide variety of designs as well as display mounting options. From small single piece displays to huge, complex animated displays, it’s virtually limitless how you can enhance your Christmas program by using quality, well designed silhouette Christmas displays. Mounting options include building front, ground mount, roof top as well as modifications available so displays can be used as sign enhancer display pieces. Sign Enhancers have exploded in popularity in recent years. From cities and HOAs to churches and businesses, sign enhancer Christmas decorations are a great way to share the magic of the holidays with those passing by. From simple snowflake sign enhancers to intricately detailed custom Christmas displays, we offer a wide range of sign decorations. Christmas Ornaments are not all created equal. A true commercial Christmas ornament is specially designed to hold up to the stresses of commercial installations. Design elements that we put into every ornament we sell includes high impact poly styrene as well as manufacturing all non-glittered ornaments with a special UV inhibitor for increased color longevity. Ornaments sizes start at just 1.5” and go all the way up to our designer series ornaments that measure over 46” in length. Christmas Bows have a unique design flexibility that make them the perfect accent piece for a wide variety of commercial holiday decorating projects. Small bows are great as ornamentation on Christmas trees and wreaths as well as living trees. Medium size bows work well on doors, columns and stairway railings. 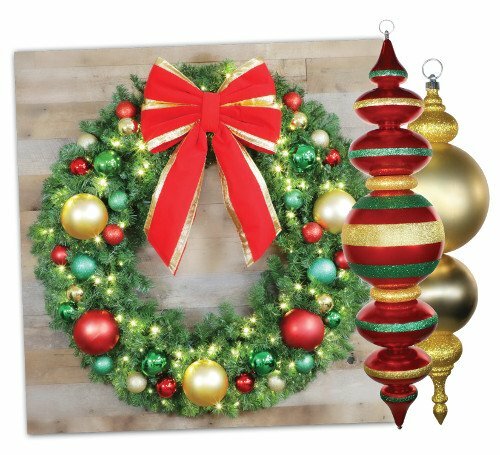 Go with large 36” and 48” bows and you have a decoration centerpiece that works all on its own as a building front or large door accent piece. Custom Commercial Christmas Decorations are our specialty. Not finding the perfect Commercial Christmas decoration? Then talk to us about our custom and semi custom Commercial Christmas decorations. Our design team can work with you and come up with the perfect decorating program that fits your budget and your design needs.